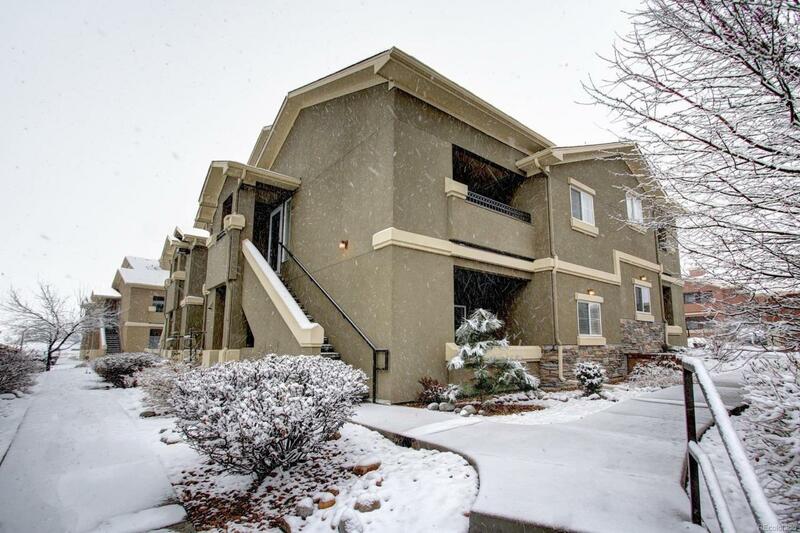 Wonderful ranch style condo, in a this coveted gated community in Highlands Ranch. Enjoy all of the amenities that Shadow Canyon has to offer, including a beautiful community pool, fitness center, clubhouse, all within walking distance of your front door. Don't let the square footage fool you on this spacious condo, and enjoy easy living, and easy access with no stairs, and steps from your personal parking space. Open floor plan with SS appliances, 42" cabinets, tile counter tops, dining area, cozy living room with gas fire place, private patio with storage, large bedroom with walk in closet, full bath and over-sized laundry room. Just minutes from shops, restaurants, plenty of golf courses, and much more. Very hard find in this price range. Offered by Re/Max Cherry Creek.